Feeding Communities Together is an annual Banyan Tree Group’s initiative, which was celebrated in conjunction with World Food Day – 16th Oct to raise awareness of poverty and hunger. 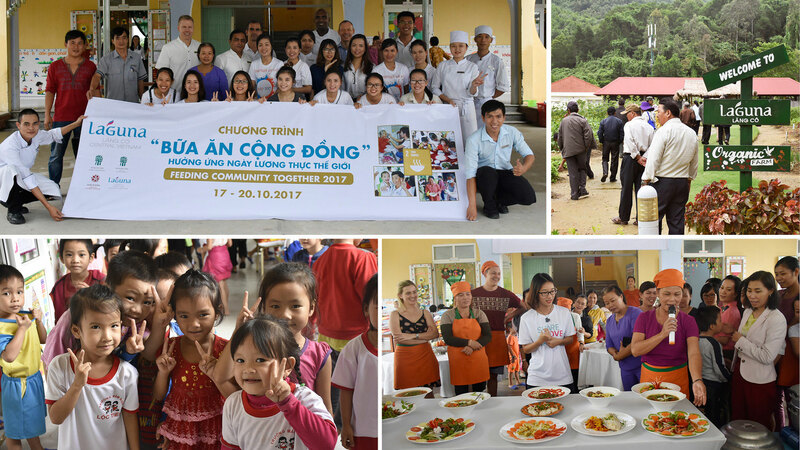 Recently, Laguna Lăng Cô has successfully organized the Feeding Community Together Program 2017 followed the ‘Stay For Good’ theme – a part of the sustainability journey of Banyan Tree group. 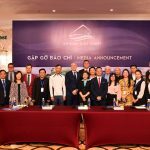 The program this year was organized from 17 to 20 October 2017 with many activities, targeting to enhance 410 local people and children in Loc Thuy and Loc Tien communities, Hue. 40 local farmers from Loc Thuy commune were invited to Laguna Lăng Cô for the training of sustainable rice farming. The training session focused on planting technique for sustainability and productivity improvement including compost for better soil, crop rotation by local plants, proper use of fertilizers, pesticides. 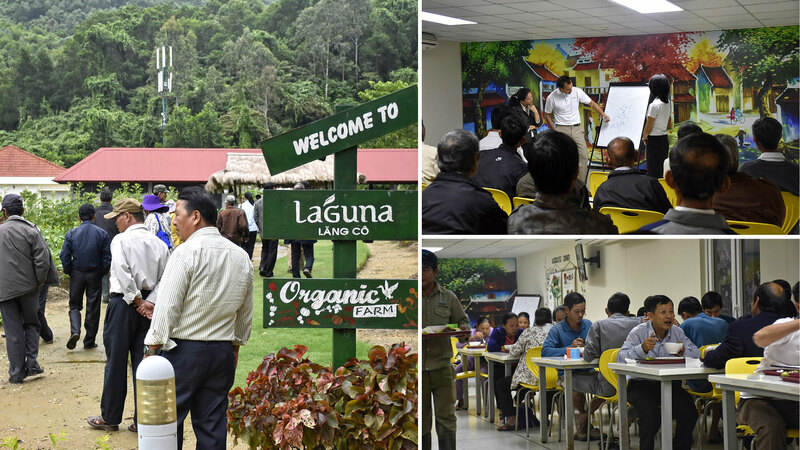 The first day of program ended with a cozy lunch and a site inspection to Laguna Lăng Cô’s Organic Farm where our local farmers were able to learn about organic farming development. Moreover, all participants had an opportunity to enhance their cooking technique and learn more about nutritional meal through a short cooking show by Laguna Lăng Cô’s Executive Chef, Mr Heshan Peiris. 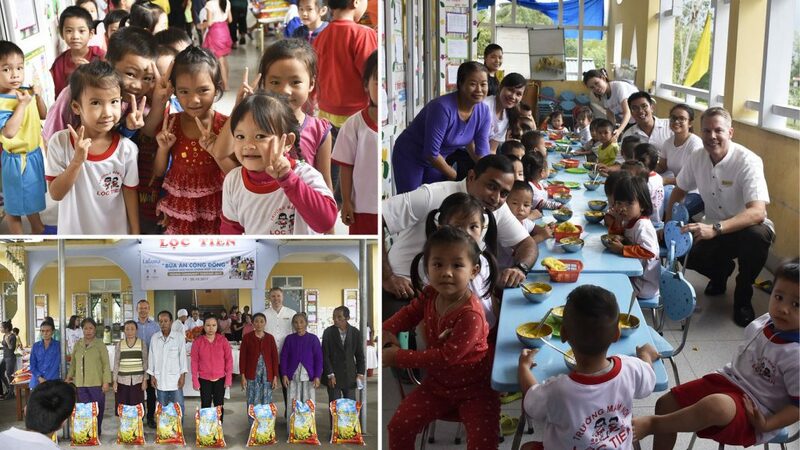 Remarkably, all volunteers were delighted to join a hand in delivering 170 healthy lunch portions to children and teachers at Loc Tien kindergarten after all. With great supports from Laguna Lăng Cô associates and representative of Chan May hospital, 150 nutritional lunch potions and gift sets have been delivered to patients, families, all doctors and nurses at Chan May hospital. Following that, the joyful music performance from our associates really marked a memorable day for all participants. 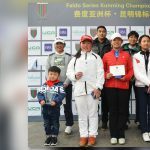 Laguna Lăng Cô would like to express a deep appreciation to everyone who has supported to the meaningful success of Feeding Community Together 2017. 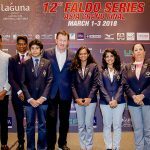 We are looking forward to having your participation in the next program in 2018.